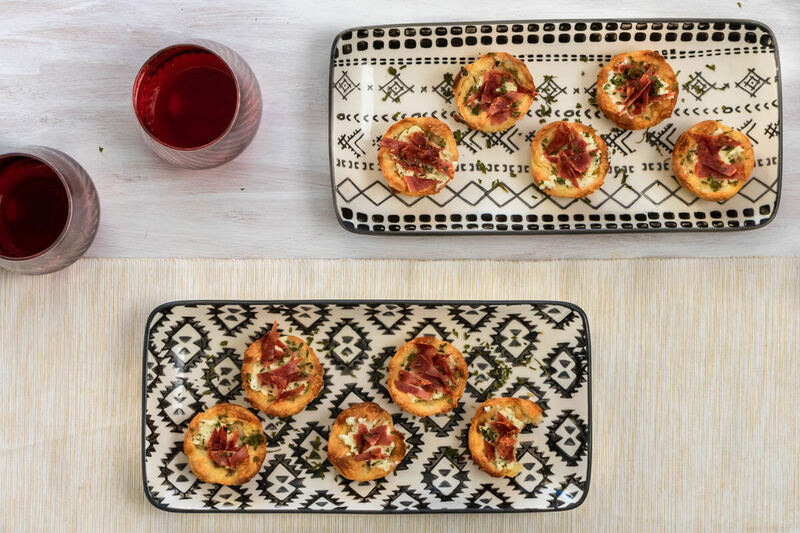 I live for appetizers, so coming up with an appetizer recipe that has just 4 ingredients and tastes good is like winning the lottery. 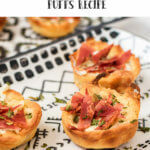 This Turkey Bacon & Herb Cream Cheese Puffs is exactly that. It takes minimal effort to make and gives maximum delight. You can make your own puff pastry if you’re feeling very Martha Stewart, but I just used frozen puff pastry. My puff pastry came into thin square sheets, which I used half of for each piece, but I know that not all puff pastry sheet is made equally. 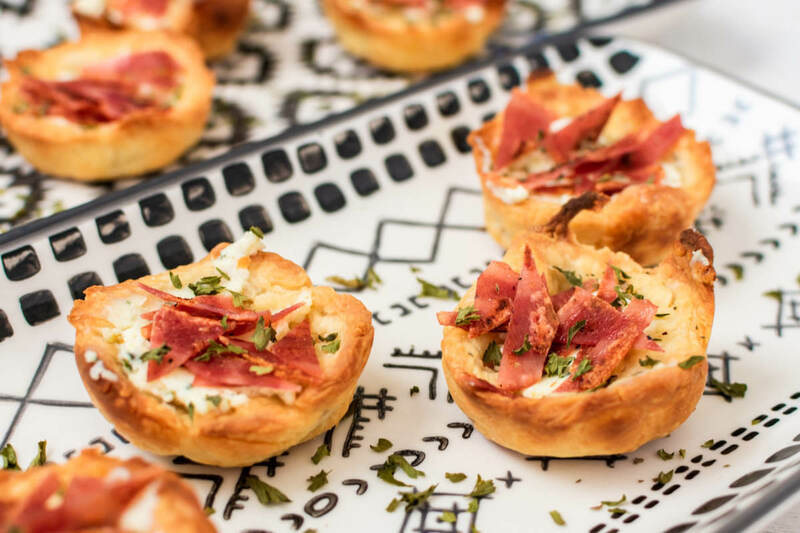 Let’s not over-complicate this turkey bacon & herb cream cheese puffs though, just use enough puff pastry to cover each hole of your muffin tin completely. Make them around 0.5 inches thick. Don’t panic when the puff pastry starts rising. That is the whole idea of this recipe. There is always a time and place to go fancy. 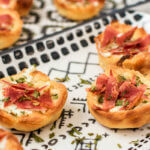 The cream cheese part of the turkey bacon & herb cream cheese puffs is that moment. While there are plenty of delicious cream cheese recipes out there, nothing beats the classic Boursin—in my honest opinion. When creating recipes I always think of ways to skimp the costs (we’re not rich Millenials), but with the turkey & herb cream cheese recipe, I just knew I couldn’t budge on the cream cheese. So, if you can get your hand on some Boursin, buy it! I love serving these types of appetizer on a less common plate. If you’re serving it to a big crowd, serve it on a large serving plate. 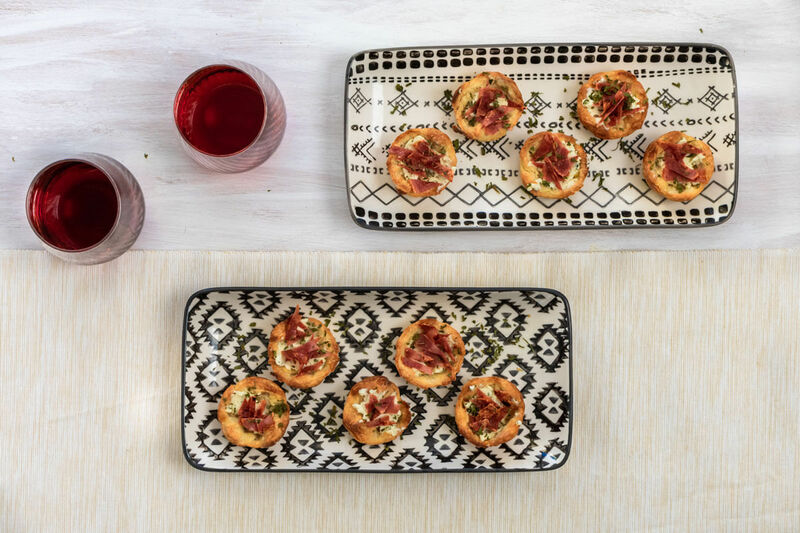 If it’s for a smaller group then choose a small eye-catching plate. I went for a small black and white rectangle plate with geometric prints. The bacon & herb cream cheese recipe requires just 4 ingredients and 15 minutes for maximum deliciousness. 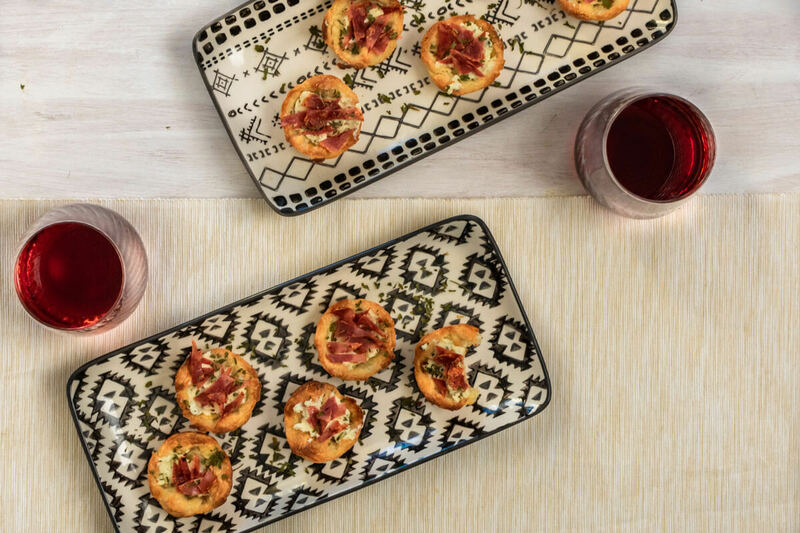 A great party bite or appetizer for your next happy hour. Grease the muffin tin with unsalted butter or baking spray. Roll out the puff pastry into thin disks that cover the hole of the muffin tin completely. Place the puff pastry in the tin hole and push to stick to the button and the sides. Repeat for the remaining puff pastry. Place the muffin tin in the oven and bake for around 10 minutes or until the puff pastries get golden brown. In the meantime, bake the turkey bacon slices on each side for about 5 minutes total. When they're done, remove them from heat and place them on a plate (with kitchen towels). Let them cool for a bit then cut them up into little pieces. When puffs are ready let them cool down for 5 minutes or so. After cool down add 1 tsp of cream cheese to the top (hole). Add a few slices of turkey bacon and garnish with chopped chives or basil. I love these! Definitely making these soon!